HealthTap, a global health practice providing immediate access to doctors and their knowledge via video, text and voice, today unveiled HealthTap Cloud, a development platform that enables health developers to build applications more efficiently. HealthTap Cloud is powered by HOPES, a health operating system which connects the continuum of care to each person’s unique Personal Health Record (PHR). APIs and SDKs that help developers build personalized web, iOS and Android apps are available with HealthTap Cloud. 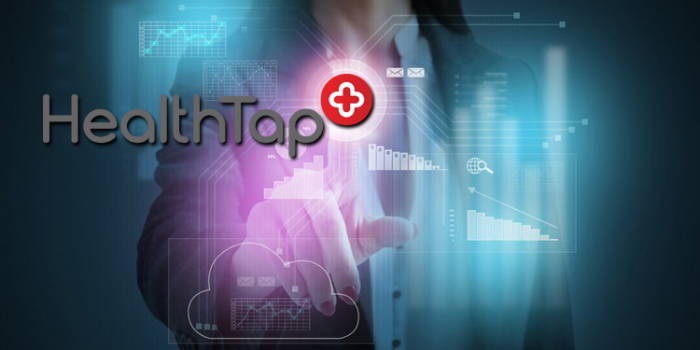 Opening its technology platform to developers through an application process enables them to access key modules of the HealthTap Cloud and further HealthTap’s mission of bringing affordable, high quality healthcare to billions of people. "The barrier to entry for building smart health applications is dramatically lowered by HealthTap Cloud," said Greg Badros, PhD, former engineering leader at Google and Facebook and an early investor in HealthTap. Badros continued, “HealthTap Cloud promises developers instant interoperability, turnkey secure and private infrastructure, and easy access to doctor knowledge and population data that may save developers precious time and money as they design and deliver the next generation of health apps to market." To date, participating developers come from a range of institutions, including Fortune 500 employers, multinational payors, hospitals/health systems, government agencies, device/sensor manufacturers and health app startups. Google, IBM, Flex and iHealth are a few of the companies collaborating with HealthTap on building with the HealthTap Cloud. Additionally, Blockchain S.A. is working with the HealthTap Cloud team to create a new healthcare blockchain — foundational infrastructure for managing federated, trusted access to medical records securely between all parties in the private network, including hospitals, doctor practices, insurance companies and app developers. Cross-Platform Telemedicine: Evolve telemedicine services by embedding secure, high-definition video/voice/text chat in iOS/Android/web apps. Facilitates multi-participant communication between doctors, patients, translators and caregivers with integration with pharmacies, labs and insurance companies. “From our start HealthTap has been committed to building an engaging and vibrant community of top healthcare engineers and developers. We hosted the first digital health hackathon, Hacking4Health, in 2010 at our first office in downtown Palo Alto,” said Ron Gutman, Founder and CEO of HealthTap. “We are thrilled to return to our roots and give back to this vibrant community of super bright and compassionate healthcare developers by opening up our technology platform and inviting the best minds from all corners of the globe." The company is accepting applications for the HealthTap Cloud.